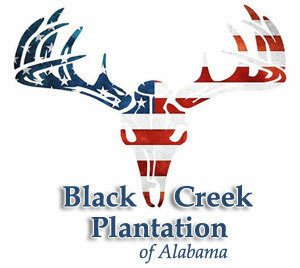 We are busy working on the land at Black Creek Plantation of Alabama because deer hunting season will be here before you know it, but in the meantime we are enjoying some great fishing and hog hunting! As Bow Season approaches mark your calendar for our 2nd annual Bow Rodeo! For more information on this awesome event click here! We are also offering a Youth Season Hunt! This is such a great way to enjoy the great outdoors with our youth! For more information please click here! Be sure to check out our year round packages on the pricing page! For the most recent posts and information, LIKE our facebook page as recent news will always be posted there first. Hope to see you all soon! Capt'n Hook Charters - Located in beautiful Panama City Beach, Florida, the Capt'n Hook is a 32 ft. Parker Pilot house boat powered by twin Honda outboard engines. It has a covered fishing deck that can easily accommodate 6 people. Our rates are affordable—you’ll find out that you can fish with us twice for about what many of the other charters charge for a single trip. We provide everything you’ll need for fishing except for your food and drinks. You’ll not need a license, bait, or tackle. It’s included. Fish cleaning is available. Book your trip today! Hall Queen Fleet Deep Sea Fishing - Enjoy saltwater fishing as you fish from the Star Queen or Florida Queen, leaving from Capt. Anderson's Marina on Panama City Beach, Florida. Your day begins at 5am on our 85' deep sea fishing boats. They come fully equipped with 34 sleeping bunks, restrooms, and complete galley service. Both boats have A/C and Coast Guard Certified. Prices include bait, rod, reel, fishing license, and state sales tax. Please do not bring your cooler. Book your trip today! C-EZ Refelective Outdoor Products - C-EZ Reflective Outdoor Products is a company based out of Deatsville, Alabama that specializes in highly reflective decals for a variety of uses. Our highly reflective decals are mainly directed toward outdoorsmen. These can be placed on multiple objects including arrows, treestands, crossbow bolts, trail markers, cargo carriers, utility trailers, ATV's, etc. Our decals are manufactured with weather resistant vinyl which carries a 3 to 5 year rating.